We fix windscreens and replace windscreens! Devins Windscreens specialise in a wide range of Automotive glass services. These include automotive glass repairs and replacements for commercial, fleet and private use vehicles. Devin’s Windscreens also carry out automotive glass insurance claims on your behalf. Windscreen repairs can include chip and crack repairs and we also fix leaking windscreen rubbers. We offer a full service guarantee on any Windscreen, side or rear window leak repairs that our Windscreen Technicians have carried out. If any windows leak or fails for any reason (other than those beyond our control) we will rectify the problem FREE OF CHARGE. Just give us a call for fast and efficient repair in no-time. FREE Regular windscreen Inspections are also another free service on offer from Devin’s Windsreens. Prevention is better than cure so we offer free inspections to help you avoid big repair or replacement bills. This great service is extended to Business Fleet vehicles too. 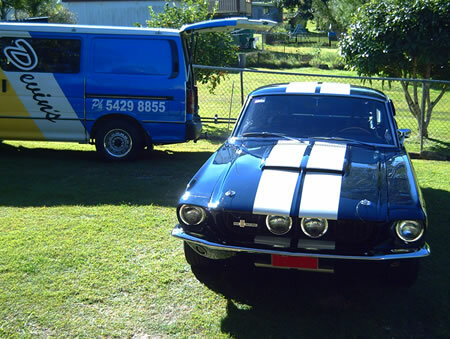 Devin‘s Windscreens is the preferred dealer for many Brisbane Businesses. Contact Devin’s now and we will arrange a time with your Vehicle Service Manager to visit your depot or company car park to inspect your fleets windscreens for structural damage. 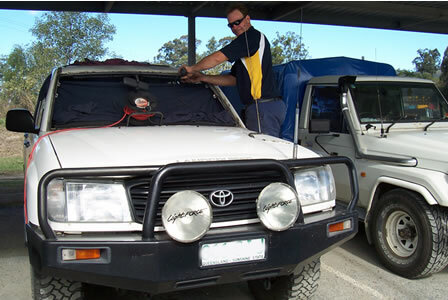 Devin’s Windscreens are a Windscreen Repair & Replacement Service covering the South East Queensland region. We are a well established business providing services for Government, Commercial Fleet and the general public. All of our Technicians are trained to the highest standard by Industry Specialists and we only use the highest quality materials available. Devin’s Windscreens utilises the latest technology and equipment to ensure you a leak-free and rust-free result. Aren’t all Windscreen Repairers the same? No they’re definitely not. Competition in the market is at an all time high, costs are being cut and shortcuts are being made. It is vital that your windscreen is fitted properly. Your car windscreen contributes to the overall strength and rigidity of the vehicle, and your airbag relies on the windscreen strength in order to function correctly. Needless to say if your windscreen is in bad repair or isn’t fitted correctly, this could be disastrous to your families safety in the event of an accident. Devin’s Windscreens Technicians have all the training and technology to ensure you can rely on us to provide quality workmanship and products and still remain competitive on price. What about Australian Safety Standards? Our glass is only purchased from the top manufacturers and complies with all international quality standards. Devin’s Windscreens repairs comply with Australian Standard AS/NZS2366:1999, and all of our installed windscreens comply with the Australian Safety Glass For Land Transport Standard AS2080. Devin’s Windscreens repair and replace all types of glass in all types of vehicles We can replace any piece of glass including heated rear windows, electric windows and small vents – in any vehicle – from cars to buses, or trucks to tractors. Aren’t all windscreens the same? No they’re not. There are some windscreens on the market that fail the test of time, they’re cheap and nasty to put it simply. Devin’s Windscreens only use glass from the top manufacturers in the Industry. Furthermore, we can offer you the latest in glass technology with a range of windscreens, side and rear glass formulated with polyvinyl butyric (PVB) resin. By inserting a very strong, flexible interlayer film between two glass sheets, this will result in a superior glass as compared to conventional mono-layer glass in every vital aspect: safety, security/crime prevention, sound insulation and ultraviolet ray protection. What is Nanoprotect and why do I want it? At Devin’s Windscreens we are the Nanoprotect Specialists.We can treat your windscreen and Vehicle glass with Exclusive Nanoprotect Technology, which offers State Of The Art surface protection for your glass to repel dirt, water, oil and chemicals. It is temperature change resistant, offers UV protection and is abrasion resistant. Having your vehicle treated with Nanoprotect will ensure your vehicle glass has crystal clear vision particularly at night and in the rain, and it will maintain your cabin climate, which will in turn increase fuel efficiency and passenger comfort. Do Devin’s Windscreens deal with Insurance Companies? Yes we do. If you have Fully Comprehensive Vehicle Insurance your glass is normally covered. Click here for more information. How do I know if my headlights are roadworthy? A lot of the new vehicle’s on the market today are fitted with Polycarbonate Lenses which deteriorate from the harsh Australian sun. You can identify this by the yellow, smoky and faded appearance. Devin’s Windscreens have developed a unique Six-Step procedure to restore the clarity and vision of your headlights to almost new condition, at less than 25% of the cost of replacement headlights. This enables improved safety for night and wet weather driving, and keeps your vehicle roadworthy for Queensland Transport inspections. Are Devin’s Windscreens services Guaranteed? All our work is guaranteed. We are so confident of the skills and abilities of our Technicians that if the Windscreen or seal we have fitted leaks or fails for any reason (except those that are out of our control) we will rectify the problem…FREE of charge!